Oil prices surged higher on Friday after OPEC, Russia and several other producers reached an agreement to cut output next year in order to boost the market. U.S. West Texas Intermediate crude futures ended Friday’s session up $1.12, or 2.2 percent, at $52.61 per barrel, off a session high of $54.22. The new agreement comes at a time when the oil market is near the bottom of its worst price plunge since the 2008 financial crisis. Oil prices have dropped more than 30 percent from their highs in early October, hammered by concerns about oversupply, weakness in global markets and technical trading that exacerbated the slide. OPEC and its allies agreed to throttle back output by 1.2 million bpd during the first six months of 2019. The production cut is roughly in line with expectations heading into the meeting. Commodity watchers were expected the alliance to remove 1 million to 1.4 million bpd from the market. Brent crude, the international benchmark for oil prices, rose $1.81, or 3 percent, to $61.87 a barrel around 2:26 p.m. ET. Brent earlier rose more than 5 percent to $63.73. 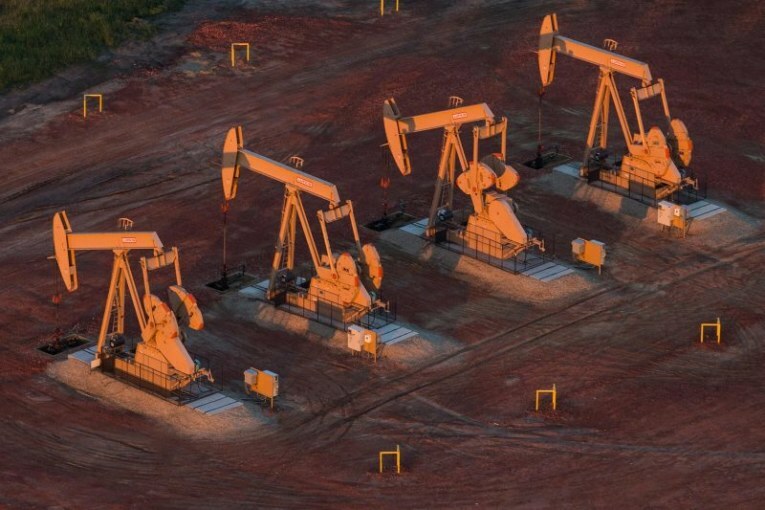 Energy research firm Wood Mackenzie forecasts the production cut will tighten markets by the third quarter of 2019 and cause Brent to rise back above $70 a barrel. “It would help producers contend with the strength of US supply growth in 2019 when we expect a year-on-year increase of 2.4 million b/d in non-OPEC production as US supply continues to gain sharply,” said Ann-Louise Hittle, vice president of macro oils at Wood Mackenzie. The United States is pumping at all time highs near 11.7 million bpd, according to preliminary government figures. Last week, the country exported more oil and refined fuels than it imported for the first time in decades. Meanwhile, Russian production hit a post-Soviet era high at 11.4 million bpd this fall, and Saudi oil production rose to a record 11.1 million bpd in November. The supply surge from the world’s top three oil producers is as forecasters warn oil demand growth will be softer than anticipated next year. OPEC members agreed on Friday to cut production by 800,000 bpd, while non-OPEC producers aim to shave 400,000 bpd off the market. Top exporter Saudis Arabia will deliver the lion’s share of the OPEC cuts. Saudi Energy Minister Khalid al Falih on Friday said he expects the kingdom’s output to fall to 10.7 million bpd in December and 10.2 million bpd in January. Russia’s pledge pencils out to a 228,000-230,000 bpd cut, Russian Energy Minister Alexander Novak said. However, Novak warned that Russia would reduce supply gradually due to climate conditions that affect its oil fields in the winter. OPEC began capping supply in partnership with Russia and several other nations in January 2017 in order to end a punishing downturn in oil prices. The alliance reversed course and agreed to hike output in June after it removed more barrels from the market than it intended, largely due to the ongoing free fall in Venezuelan output and supply disruptions in Libya. The Trump administration lobbied for the midyear production increase as it prepared to restore sanctions on Iran, a policy that has pushed up oil prices throughout much of 2018. Trump has sought to blame OPEC for rising oil prices, ordering the cartel to take action to cut the cost of crude several times this year.